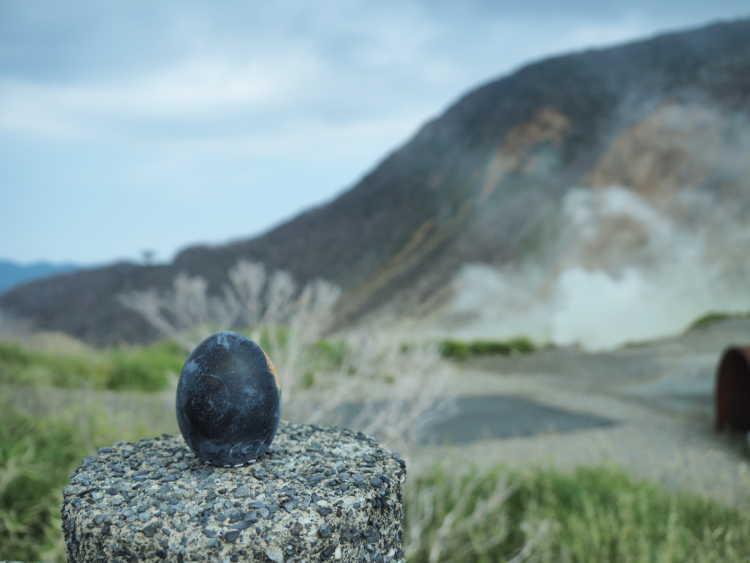 For the ingredients of hot spring, this black boiled egg (Onsen Tamago) is said to be able to extent one's life. Though it looks jet-black, the inside is almost the same as ordinally boiled egg… But wait! Its yolk is very thick and not dry.◎500yen for 5 eggs. You can buy it only here at Owakudani.